Various undercover car parks on Flinders Lane and Flinders Street. Every Tuesday night here at Eau-de-Vie is Whisky and Cheese night - come in and enjoy custom whisky flights expertly paired to cheese by our talented team. 5 x 15ml whiskies matched to 5 cheeses for $40 per person. Bamm!! Host your next event at one of Melbourne’s most acclaimed Cocktail Bars. Winner of Australia’s Best Bar team, Best Cocktail List, and Best Bartender, Eau De Vie is the perfect place to host a sophisticated cocktail party for your friends or colleagues. With three different rooms at your disposal we can cater for any group big or small. Created for the discerning bon vivant. 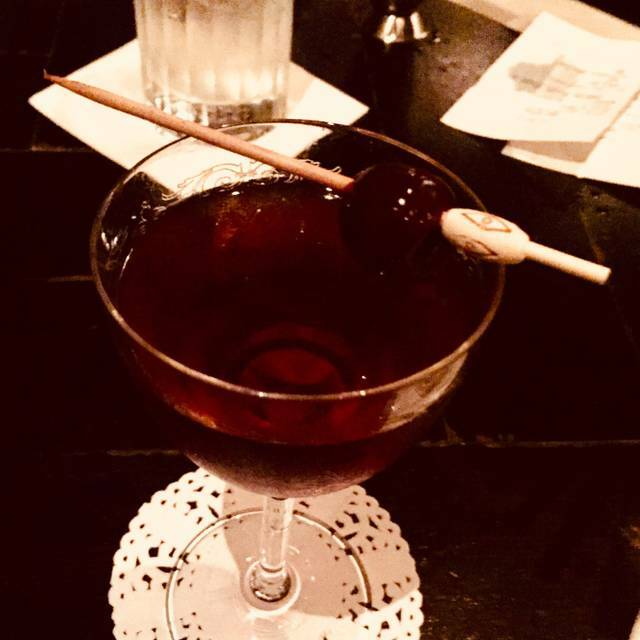 Let our amicable host and expert team of bartenders transport you back to a much forgotten era where great service, cocktails, tommy guns and good times were king. Great cocktails. Bar staff catered for individual needs and tastes. Lots of fun sitting up at the bar and being able to watch the cocktails being made. We had a really wonderful time at the venue. Service was excellent, we didn't even crack a menu, just went with all of the staff recommendations (which were spot on). Eau De Vie you've done it again, staff were brilliant and really new their spirits, great help and recommendations for my guests. Made my wife'e surprise birthday just that little bit more special. Thank you and I can't wait to come back. I am not sure what has happened - but the level of service shown on Friday night was terrible. From the moment we arrived we were treated with what I would describe as 'disdain'. Yes, we arrrive ten minutes early, but to be told to go back to the end of the line and wait until our table was ready was said with utter contempt for us. Once inside we had to wait for ages to place our order, ages to receive it and then had to chase down a server to make another order. I ordered and paid for a birthday cake to come out (was arranged to come out with our first round of drinks) but it never arrived. Really dissapointing as our previous two visits have been amazing and experiences we have always shared with family and friends and I can no longer recommend this Eau De Vie to anyone. Always fun with such a delicious range of cocktails to choose from. Great cocktails and ambience it's always a wonderful place to take interstate guests, friends and any good company. Having been to Eau De Vie 3 times before I was surprised with the lack of customer service, 30/40 minute wait for drinks and twice our orders never arrived cause the waiter never ordered our drinks. The venue wasn't as busy as it usually is either. This was a birthday party booking and the lady i spoke to on the phone prior to the event taking place noted she would arrange something for the birthday girl - nothing was arranged. I'll never come back here nor will a recommend people come here! Probably the coolest vibe and cocktails but we struggled as a group of 6 to spend money due to absolutely long delays to get drinks and simply takes 15-20 mins to get a round. But expect long delays to get water topped up and drinks. We visit from Brisbane once a year and love it every time. Thanks for having us. Best espresso martinis ever! Espresso Zambione...so good! 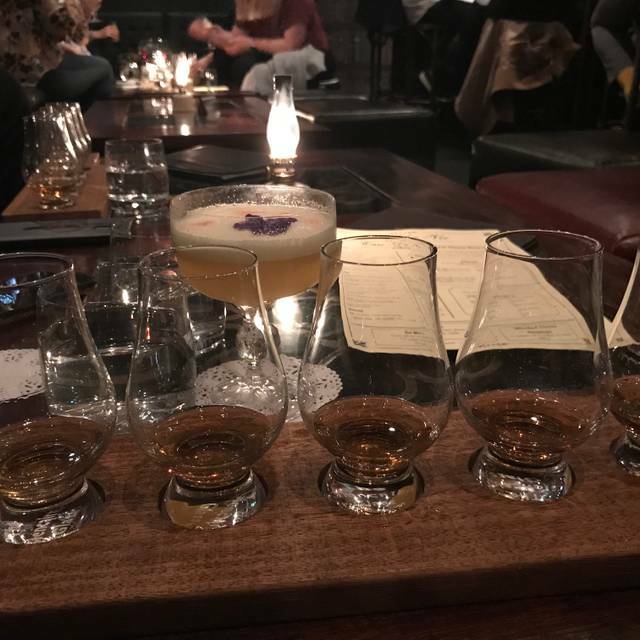 With out a doubt one of the best cocktail/ whisky bars I have ever been to. Do yourself a favour and go. Combination of fine food, excellent ambience and wonderful bar with attentive knowledgeable staff. Super disappointed with this experience. Went last year and loved it so decided to go back. Leather seats are cracking and left scratches and cuts on my legs. Freezing cold inside everyone was wearing leather jackets. The waiter Oscar sold me a rum drink even though I told him I didn’t like rum - wouldn’t change it to vodka. Couldn’t wait to get out. Never fails to impress. Had a lovely evening catching up with friends. Had. A great little booth. Drinks and service amazing!! Was a very cosy yet buzzy vibe.The main Barman was friendly and welcoming, however the junior staff was unfriendly and forgot an order leaving us waiting for our drink. The cocktails were beautifully presented & tasted fantastic however very expensive & small in size. The food was average in comparison. Great experience though very expensive! It was a little cold where we were sitting on the couches just as you walk in and cocktails took a while to come. Hard to rate the food as we didn't eat anything. 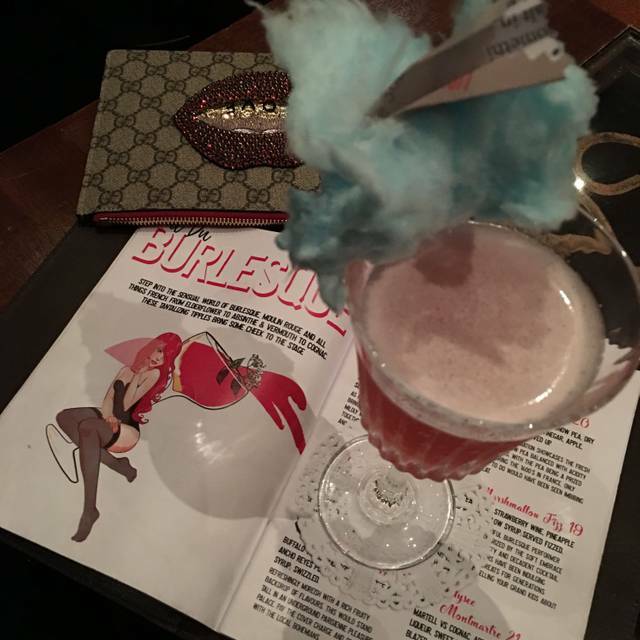 Apart from that the cocktails were great and fun, standard Melbourne prices but with better presentation. Staff were fantastic, lovely and professional. Would recommend and will go back. 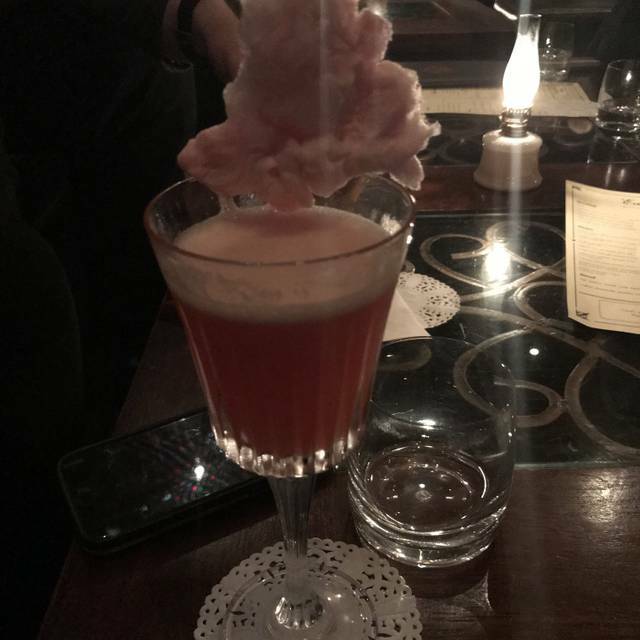 Delicious and unique cocktails with great service. Little extras and lots of choices- definitely a place to go back to. This place is the bomb! Best bar I have been to in Melbourne and is now a regular stop when out for drinks. Wonderful ambience, delicious cocktails all served with exciting and dramatic presentation . A truly memorable and fun night! This was one of the most amazing experiences. The food, cocktails, whiskey and service where all exceptional. We didn't eat a meal so can't do a review on the meal. Our waiter/bartender Issac was amazing and was happy to have a chat to us about the origons of Cocktails and where it all started at the end he gave us a little free drink each as were from another state which was lovely. As always the cocktails were amazing, ambiance is incredible and the staff are beyond exceptional. One and only downside is the menu is very limited. I understand the purpose of the menu but would have expected at least one or two items that were vegan friendly. It was the only reason we left. In future I think I will call to see where we are sitting as we had booked I definitely didn't expect to be sitting at the the bar and, although its great to be so close to the bartender, my back isn't great to start with and it was very uncomfortable and painful by the end. 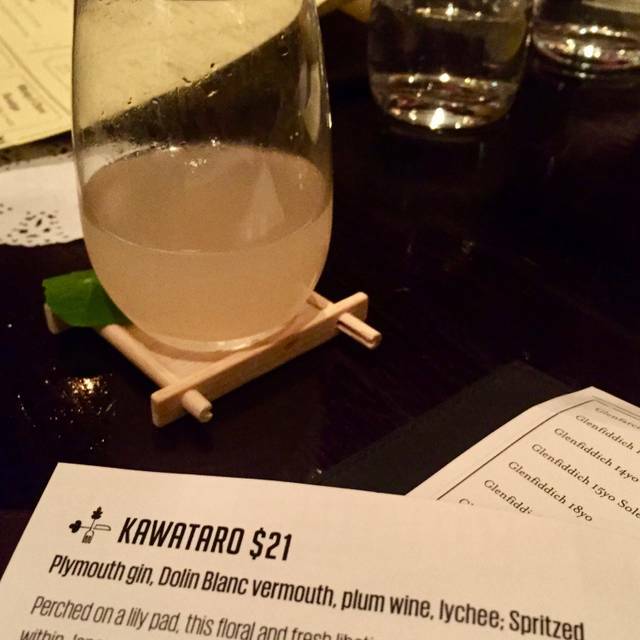 If you have only one cocktail while in Melbourne, have it at Eau de Vie. 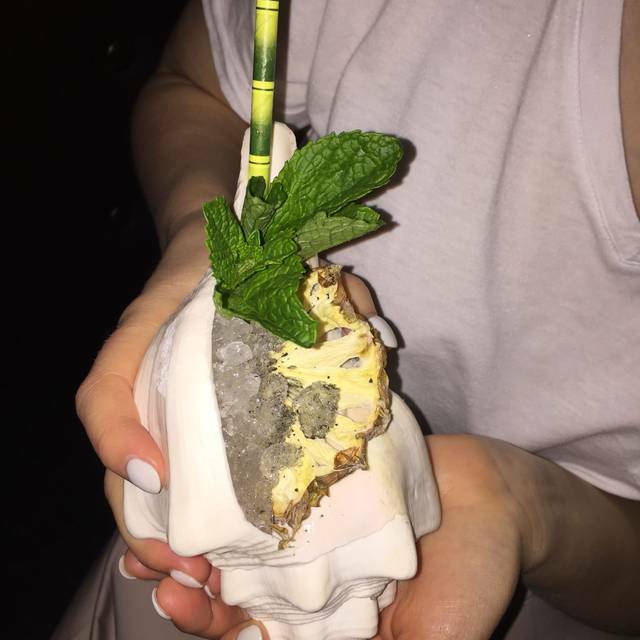 An inventive and tasty cocktail menu (the menu itself an artwork), impeccable yet unstuffy service, and a transporting atmosphere combine for an exceptional experience. Absolutely amazing! All the staff is so familiar with the menu and they have excellent recommendations. I can’t wait to go back. Great ambiance, great cocktails, great fun to be had! The drinks are amazing and the staff are phenomenal! We have been coming here for years and will continue to do so! Thanks for always being brilliant Eau De Vie! The cocktails here are sublime, always with a little touch of theatre. The staff are extremely knowledgeable to help guide you through the many choices. My out-of-town guests were delighted! Eau de Vie is my favourite cocktail bar in Melbourne. A hidden gem. Wonderful ambiance, amazing cocktails and truly knowledgeable and friendly staff. I love it here. Lovely whisky and cheese tastings! We’ll definitely be back.